A fantastic trio of talents – the mighty bassist and drummer from Can, joined by the suddenly-solo Jah Wobble from Public Image Limited – all in a set of grooves that brings out all the best of their talents! 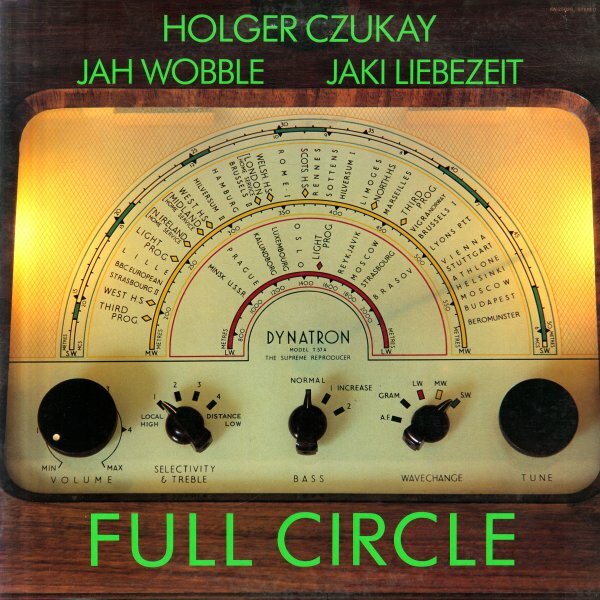 Given that Wobble already presents some beautifully heavy bass, Czukay instead focuses on his work on guitar, organ, piano, percussion, and lots of other weird sonic sources – all given great focus by the drums of Liebezeit, who makes the whole record sound a heck of a lot more funky than you might expect! In fact, the record's almost a post-punk take on the best funky modes of early 70s Can – with very cool production that brings in lots of dark edges, which sound especially nice on Wobble's vocals. Truly one of the best things that Wobble ever did – and with tracks that include "How Much Are They", "Full Circle RPS", "Mystery RPS", "Trench Warfare", and "Where's The Money". © 1996-2019, Dusty Groove, Inc.